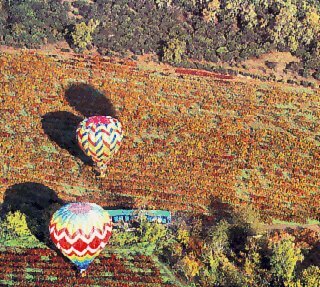 Enjoy a balloon ride to a winery or to your bed and breakfast. Explore a landscape of vineyards and country estates in the Napa Valley. Feel the magic of whisking silently over a gently rolling landscape. Travel picture of Balloons travel over the Napa Valley.